As it’s getting closer to Christmas I’m keenly aware of my lack of seasonal cards in my stash…time to get to work on those! 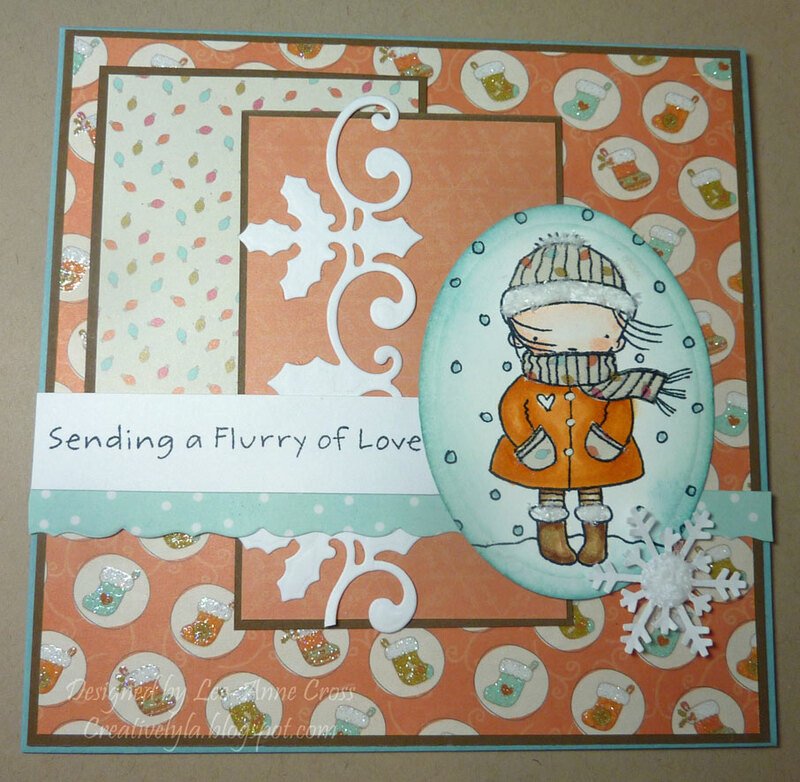 This card has been designed using the My Favorite Things Sketch 44 layout. The sweet little image has been stamped, colored with Copics, and paper pieced. I’ve used Flower Soft for the fur on her boots, trim on her hat and the little pom pom on top of her hat. I’ve used a 5 1/2″ x 5 1/2″ card base. Simple layering of card stock and designer papers. These are definitely not your usual Christmas colors, but that’s what makes it fun! A strip of the die cut holly has been placed vertically in behind the sentiment and MFT die cut. My only other embellishment is a snowflake that also has a little bit of Flower Soft on it.